BASKETBALL SPOTLIGHT NEWS: Riverside Hawks Baby Ballers Capture National Titles! Riverside Hawks Baby Ballers Capture National Titles! 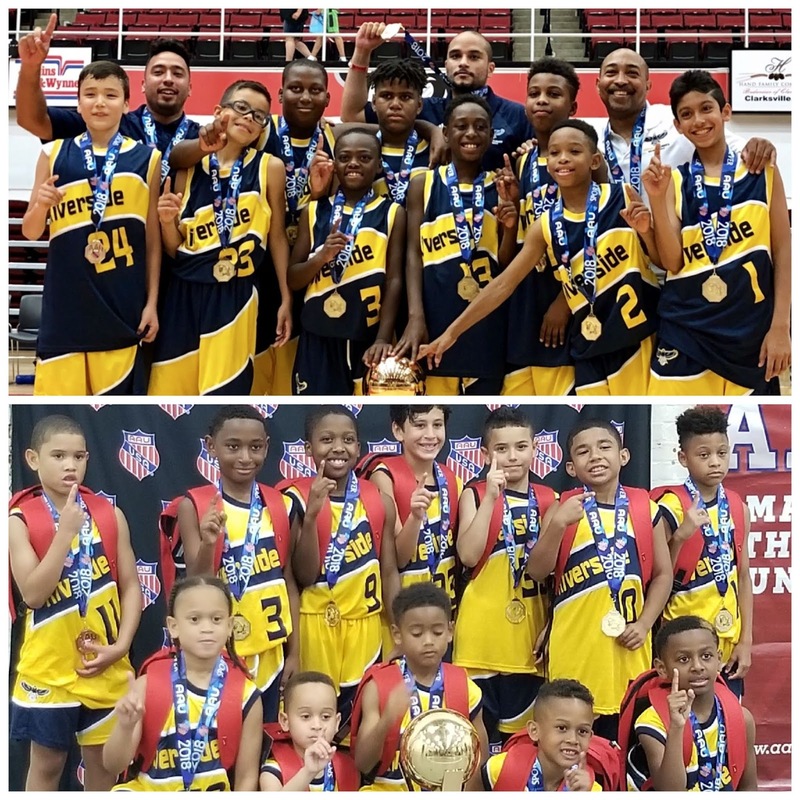 The Riverside Hawks 8U and 10U squads carved their way into AAU history by winning the National Championships. The 8U squad defeated rival NY Gauchos 31-30. While the 10U squad defeated Bankshot Academy 46-43 to win the 10U D2 championship. Basketball Spotlight would like to congratulate the Riverside Hawks program for a great job and continued success.